Srimath Ramanujar has dedicated his complete life in protecting and flourishing our Sri Vaishnavam. During the process of expanding and exploring our Sri Vaishnavism, he has faced so many problems from various Kingdoms and during all these tough situations, there were so many Sishyas and Gurus have protected him. In this article, you can find some of the Guru Bhakthi of His Sishyas. During the early years, Srimath Ramanujar stayed in Tirupputkuzhi (near Kanchipuram) and learned Vedantham and its meanings from his guru named "Sri Yadhava Prakasar". There were some conflicts between Sri Ramanujar and Yadhava Prakasar in terms of his teachings and the meanings in which it was explained. Sri Ramanujar explained the actual meaning of those but his Guru could not accept it. Because of this, there started the conflict between the Guru - Yadhava Prakasar and Sri Ramanujar. Because of this, Yadhava Prakasar planned thought of (killing Sri Ramanujar) taking Sri Ramanujar along with him to Kasi and kill him by pushing him into Ganga River. Govinda Bhattar , who was along with Sri Ramanujar, came to know about this plan and he told this to Ramanujar. Thereby he made Ramanujar to escape away from being killed. 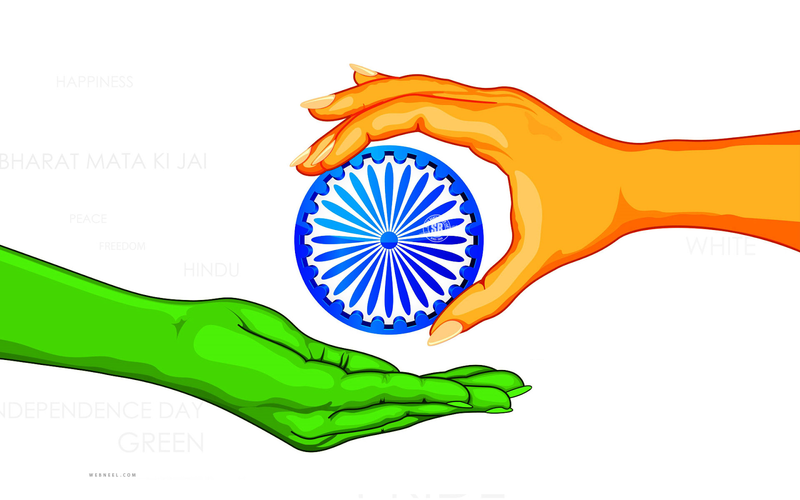 Govindan is none but our Great Embar. 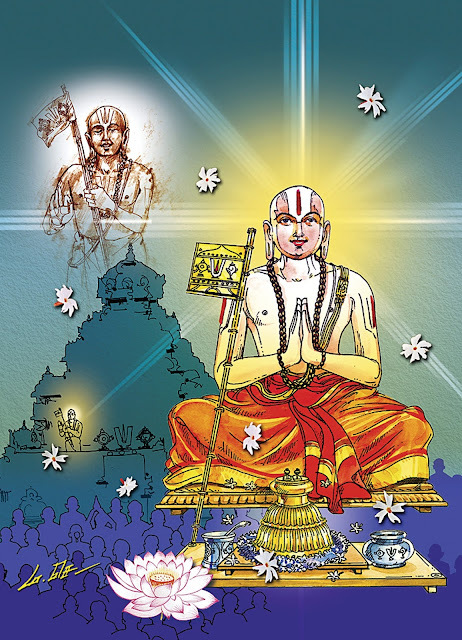 Embar Swamy is one among for us to get the great Emperumanar - Srimath Ramanujar. We can get the Dharshan of this great Sishyan - Sri Embar at a temple in Madhuramangalam, a small village which is found when we travel from Chennai - Kanchpuram. A Chozha king named "Kirumi Kanda Chozhan", thought Saivam is greater than Vaishnavam and so thought of killing Sri Ramanujar, who explored about Sri Vaishnavam during that time and rooted Sri Vaishnavism. On knowing that his Guru is going to be killed by the king and the life of Guru in vein, Sri Koorathalwar asked Sri Ramanujar to leave the place at once. He took the Kaashayam (the cloth worn by Saints) - dress of Sri Ramanujar and went towards the place of the king; Koorathalwar explained the greatness of Sriman Narayanan and about Sri Vaishnavam. This made the king even more angry and ordered the eyes of Azhwan to be plucked. But, Azhwan he himself plucked his eyes stating that he did not want the ordinary (oonakkan) and he seeked the Gnana kan (the divine eyes with which he can see the Perumal). Sri Koorathazhwan temple is found in a small village named "Kooram", which is very near to Kanchipuram. During this time, Sri Ramanujar spent about 12 years in Melkottai and from their, he came to Sri Rangam and took lots of initiatives in developing Sri Vaishnavam. 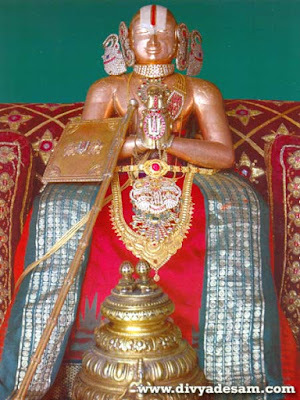 Sri Ramanujar and Kidambi Aachan: . On hearing that Sri Ramanujar is in Sri Rangam, Thirukkoshtiyoor Nambi (who explained the inner meaning of the great Ashtakshara Mantram to Sri Ramanujar) wanted him to see him. Sri Ramanujar along with his Sishyas waited on the banks of Cauvery River to greet him. It was very hot and none could resist the heat of the soil. 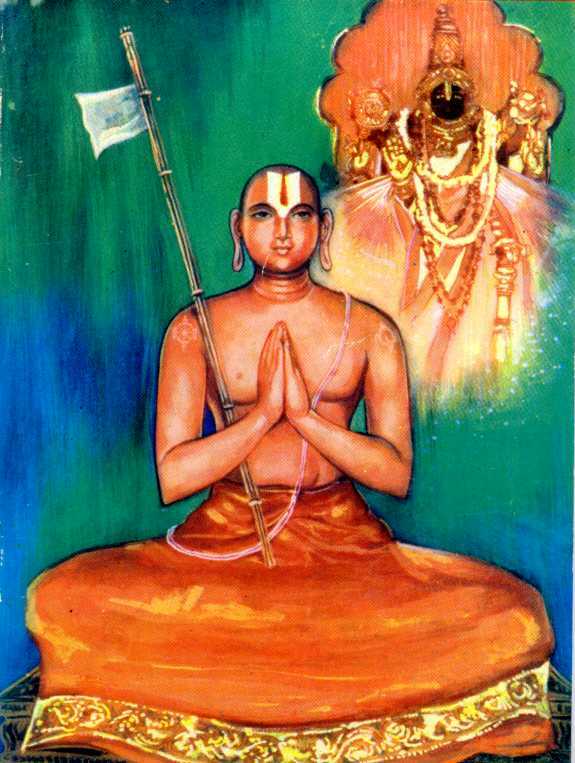 On seeing Nambigal Sri Ramanujar became of his guru Bhakthi fell towards the divine feet of Nambigal. But, Nambigal did not ask Ramanujar to get up. 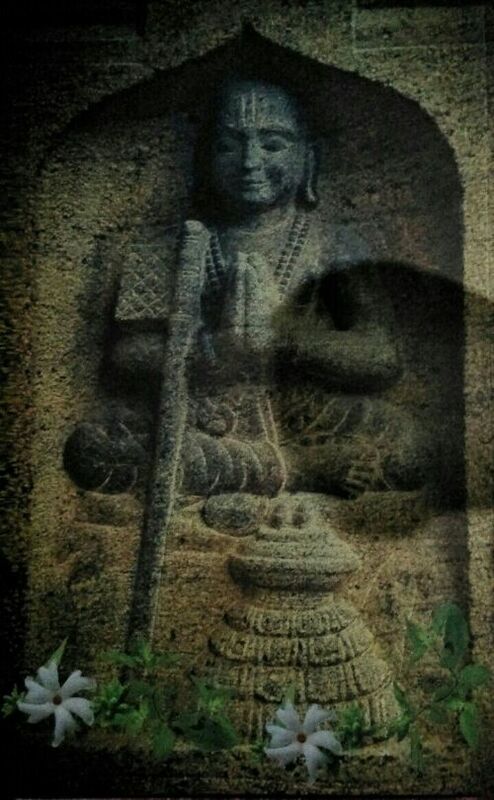 On seeing this, Kidambi Aachan questioned Nambigal that is this the Aacharya Anugraham? Sri Ramanujar is on the hot sand and you are not making him to get up ?" Hearing this, Nambigal said that he wanted to know who is having more affinity and affection towards Sri Ramanujar. He also said that from then, he should take care of preparing food for Sri Ramanujar. Kidambi Aachan spent his days by performing Kainkaryam for Guru - Sri Ramanujar and because of this, he didn't write any Granthams; we can get the dharshan of him in Vigraha Roopam in Thiruvaheendrapuram Sannadhi Street - Sri Srinivasar temple and also in Kaatumannar Koil. There were so many incidents happened to explore the greatness of the Guru Bhakthi in Vaishnavisam. Sri Ramanujar and his Sishyas (followers) have the great part in the flourishment of our great Sri Vaishnavisam. So, lets us also follow our great gurus and their teachings.